With plenty of moving services, Meathead Movers is fully prepared to make Solvang your new home. Our clean-cut student athlete movers are dedicated to fulfilling all your moving needs efficiently. 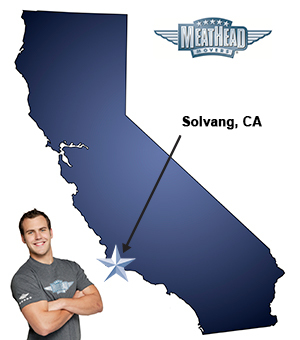 Welcome to Meathead Movers of Solvang! If you are moving to or from anywhere in Solvang we are the moving company for you! Our professionally trained student-athlete movers and our moving concierge service are here to help you with every stage of your move in Solvang. From ostriches to miniature ponies to classic Danish pastries, Solvang is a captivating city that is sure to delight everyone from kids to adults. Solvang is a small Danish town in Santa Barbara county and never ceases to leave a memorable impression for all those who visit. Stroll through Solvang Village and spot classic Danish icons including their Little Mermaid Fountain, five windmills, and a giant red clog. Enjoy tasty Danish pastries, a meal at anyone of the city’s 35 delicious restaurants, or a glass of wine at one of the 20 downtown tasting rooms. No matter what you decide to do, your time in Solvang is sure to be memorable. If you are considering calling this enchanting Danish town your home, consider Meathead Movers to help you make your move. Our moving company specializes in local, long-distance, and commercial moves to, from, and within Solvang. We also provide reliable packing, storage, on-site relocations, and our distinctive moving concierge service, which connects you with local service providers. All our student-athlete movers are thoroughly screened and trained before their first move. With branches not just in Solvang, but all throughout California, we are your one-stop resource for all your moving needs, no matter where your California move takes you. In fact, you can see what your neighbors in Solvang have to say about us. With our 100% satisfaction guarantee, the only thing you have to lose is the stress that comes from moving! So contact us today for a free no-obligation moving quote and to learn how we can help you on your next move! Moving to Solvang? Here are some helpful resources. Complete lack of follow through with our moving job. The job discussed was not completed and we were mislead as to what their movers were capable of doing. To make matters worse their movers took the only key to the POD with them and we had to wait for them to bring it back to us. Very disappointing to say the least. Meathead Movers is great. We've used you all four times over the past 15 years or so and we have always been pleased with the service. The last two times we used Princess Packers as well, and it saves us a lot of grief in packing the kitchen.